Is your Computer or Laptop running slow? 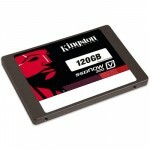 consider upgrading your system with a SSD Drive for quicker boot time and read/write access time. SSD Drives are now available in larger sizes, your old drive can be replaced with a SSD by cloning your old hard drive to it retaining your operating system and data providing that you use the correct SSD Drive size. We can assist you with choosing the right size SSD arrange the collection and delivery of your Computer or Laptop to upgrade for you.